Finding a sound bath in New York City is getting as easy as, well, seeing one of your favorite bands perform live. In fact, we seem to be in the middle of sonic bath boom. What exactly is a sound bath? What started as big, one-off events (like a recent 800-person sound meditation hosted by The Big Quiet, where I found myself wanting to keep my eyes open as a pianist serenaded the crowd), sound baths are increasingly on the menus of your fave yoga studio, holistic spa, or acupuncture spot, making it way easier to do it regularly. Prices run about $30 or so, depending on what else, like say acupuncture, is offered. Just as you’ve got your Saturday morning hot yoga class that you never skip—not even if your friend nabbed a table at Egg Shop—you can now make sound bathing a real habit. And your list of options is only growing: Sky Ting, the yoga studio of choice for a cool downtown fashion crowd, is hosting its first monthly sound bath with Nate Martinez this Saturday, February 27. Further proof of just how de rigueur the yoga-sound bath pairing is? The just-opened Brooklyn Yoga Club already has Martinez, who’s become synonymous with the practice in New York, booked to bring his musical therapy to its Clinton Hill space starting in March. If it’s acupuncture that eases your body, Brooklyn Acupuncture Project offers regular sound baths based off of the lunar calendar. There’s even one in a Himalayan sea salt room (that would be Midtown’s Breathe spa, where after the hour-long session my chronic back pain miraculously disappeared). What are the benefits of sound baths? “Even if it’s a consistent monthly event with me in the space, you can have a different experience—and that’s why it’s important to make these offerings with some regularity, so [people] can explore the benefits of sound therapy,” says Auster. Want to try it out or make it a habit? Here are 8 spots around New York City that offer sound baths on the regular. The Gowanus space’s founder Serra Chase performs acupuncture while a rotating group of practitioners provide the soundtrack (which ranges from didgeridoos to live vocal performances). “Sound enhances [acupuncture] as the stimulated points are more sensitive to physical vibration and, because vibration is energy in motion, this helps ‘move things along,'” explains Stephanie Rooker, who often co-hosts the series. The sound bath’s frequency, while not consistent per se, is tied to the full and new moon cycle. If you want your sonic experiences to be like your green juice—that is, a regular part of your life—you can experience weekly sessions on East 11th Street, near University, with the meditation-and-music duo Aya and Tyler. Their layered soundscapes combine indigenous instruments (keep an eye out for didgeridoo) with vocal harmonies (Aya’s worked with Sade and Lenny Kravitz in the past, so she’s got serious chops). The Greenpoint, Brooklyn, neo-boho space is all about holistic healing, so it’s no surprise that, in addition to its roster of yoga classes and group hypnotherapy workshops, it also offers sound baths twice a month. 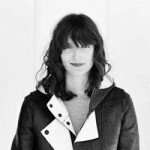 Katie Downs (a licensed music psychotherapist—yes, that’s a real thing) brings her crystal bowls, tuning forks, Indian shruti boxes, and more on the second and last Sunday of every month for this high-demand experience. It often sells out, so book your mat in advance. By day this almost-at-the-Queens-border Greenpoint space is a photo and film studio. But every Wednesday sound practitioner Stephanie Rooker and yoga teacher Sarah Capua turn it into a place of movement, meditation, and sonic healing via their Sound Body Yoga class. “On the surface it looks like a yoga class with improvised music, but because the sound offered is informed by principles of sound healing, participants report that the quality of the presence in the sound adds profound dimensionality to their experience,” notes Rooker. Just don’t forget to come prepared—it’s BYO mat. When it starts up on Saturday, February 27, Sky Ting, the super cool yoga studio on the edge of Chinatown, will be yet another one of Martinez’s regular spots in the city for sound baths. “One of the main ideas we had when opening Sky Ting was figuring out how to bring the ideas of yoga into people’s lives beyond just regularly scheduled asana classes,” says Sky Ting co-founder Chloe Kernaghan. 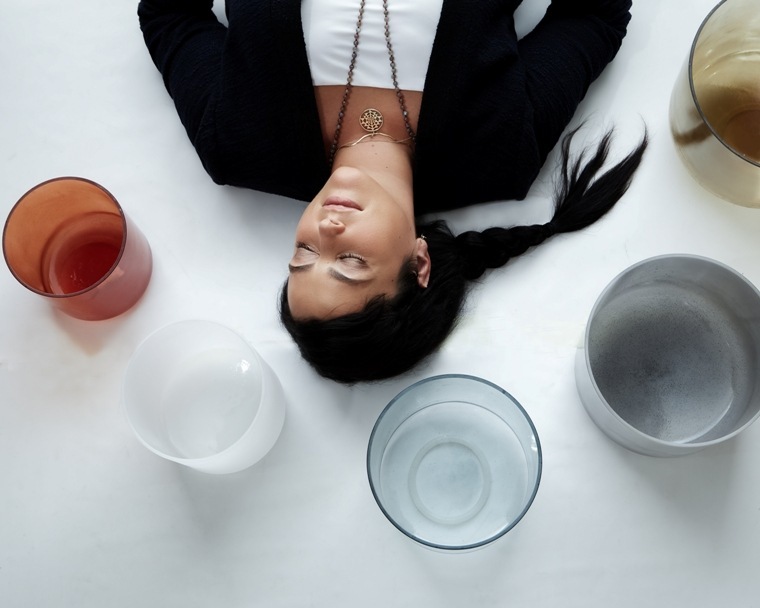 “Sound baths are an amazing way to re-tune the body and mind and sink into a state very similar to deep meditation.” Expect dim lights, lots of candles, and what co-founder Krissy Jones describes as “chill vibes.” Sign us up. Another wellness trend that’s hit Manhattan? Headphone yoga. Meanwhile, if you’re looking to get a little sweatier, these are the 7 hardest workouts in NYC (yes, we tested them all).